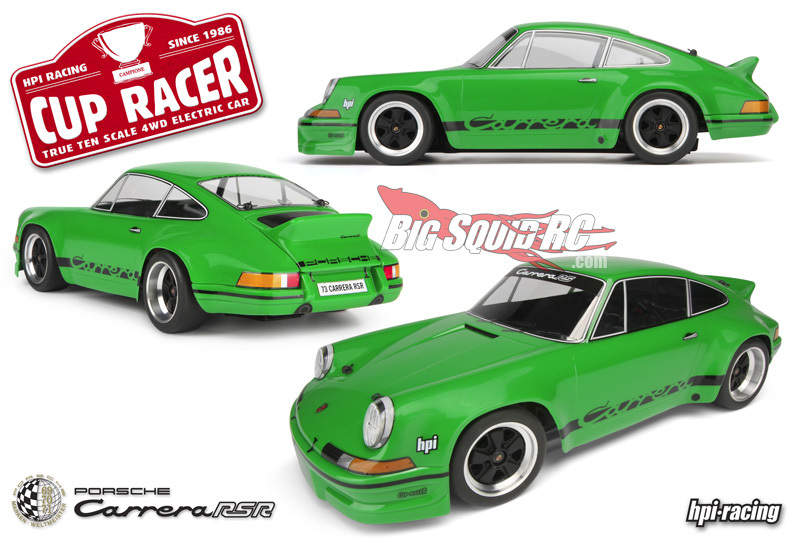 HPI Racing CUP Racer Porsche 911 Carrera « Big Squid RC – RC Car and Truck News, Reviews, Videos, and More! Wow, these new True Ten Scale cup racers from HPI Racing look awesome! 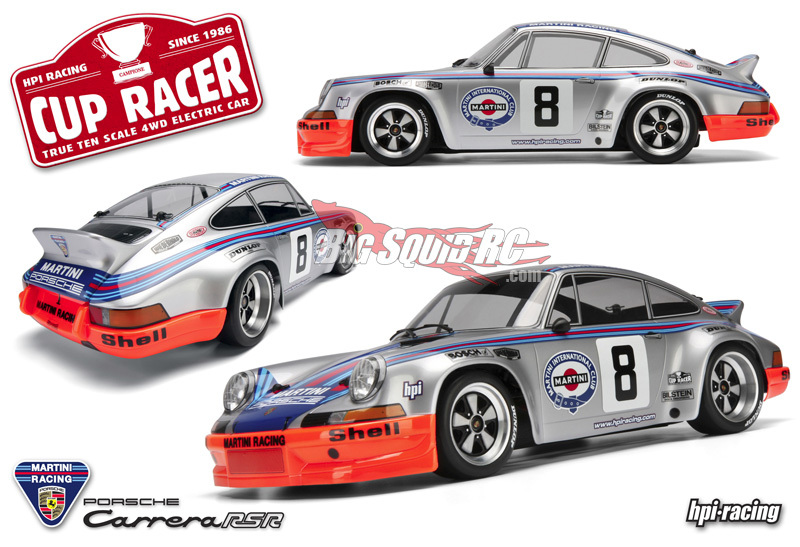 This is the new 1973 Porsche 911 Carrera RSR 2.8 Version! The are meant to have incredible detail as you can see, and are part of the push from HPI for “True Ten Scale: True Looks, True Engineering”, and I have to say I’m a big fan. I really like the fact that RC is getting back to the realistic look for vehicles. These come as kit versions ready for racing, and as a drift version as well!